The Subaru Forester has a name for no-frills, all-performance reliability, but the Nissan Rogue is an impressive addition to the crossover market. Can the newcomer rival the tried and true experience? The Subaru Forester is a well-designed vehicle, with all of the stylistic elements that you might expect in a base-model SUV: 17-inch steel wheels, halogen headlights, black side mirrors. But with the Subaru, that's about all you get, because their focus is on performance. The Forester is a partial zero emissions vehicle, which basically means that it meets much tougher emissions criteria and has a longer warranty on all of its emissions parts. With a 26/32 mph efficiency, it's no slouch on the road. The one hiccup here is that the base model, at $23,500, is a manual transmission-and the price of the automatic transmission version is nearly 6K more. The Nissan Rogue offers the basics of the Subaru Forester, with some stylistic additions that may make some drivers more happy. Nissan has added power mirrors, body-colored door handles, solar glass, and a spoiler while keeping the basics of the Forester. The automatic transmission and 26/33 mph efficiency gives the edge to the Rogue, which offers more style and adaptability for the same price. The 2017 Nissan Rogue has invested in its safety features, giving drivers a rearview monitor and Advanced Air Bag system as well as traction control. Most impressive, safety-wise, on the Rogue is what you can't see: Zone Body construction, which has created a stronger passenger compartment with front and rear crumple zones. A crumple zone absorbs the impact so that passengers don't. Add to that knee bolsters and you have some solid safety features on board. The Subaru Forester, though, has been at this for a long time, and its safety packages demonstrate that. All wheel drive promotes safer driving by increasing traction, and Subaru adds to that a vehicle dynamics control system that prevents skids and you're already ahead of the game. But the 2017 Forester also adds brake assist and override, a rearview camera, rollover sensor, additional traction control, as well as air bags on the front, side, and knees. Subaru wins this round easily-their safety package is superior to the Rogue's. The Subaru Forester has a solid entertainment system, with a 6.2 inch touchscreen display, 4 speakers, and Bluetooth/iPod capability. It's solid, but there are no other frills, and that's okay. The Subaru is built for people who are less concerned about the tech and more concerned about the performance. The Rogue does both, in our opinion. They've taken a similarly solid entertainment system (5 inch display, 4 speakers, Bluetooth) and added a few extras that we think will make most drivers happy-hands-free messaging capabilities and a free Sirius XM three-month trial. For people who spend a lot of time in the car, and who are as attached to streaming life as most people are, these additions will make a real difference to their driving experience. When two vehicles are equally matched in performance and design, it comes down to the extras. The 2017 Forester offers keyless entry and a very cool underfloor storage area in the cargo section that many drivers will love, along with a color multifunction display for drivers. The basic Forester is basic-and that's honestly part of its charm. 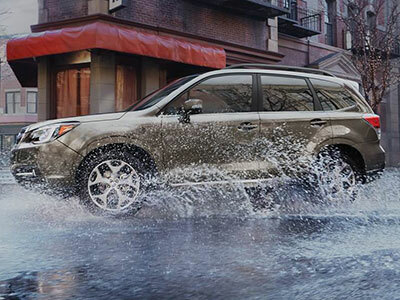 If doodads and electric thingamabobs are not your thing, the Forester is literally made for you. 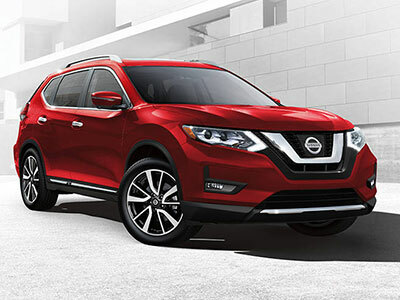 The Nissan Rogue adds the tech frills, with an integrated key and remote entry option, as well as three 12-volt plugs for cell phones, tablets, and all types of devices and an Advanced Drive-Assist Display that can help keep driver eyes on the road rather than on a screen or cell phone. Maps, text messages, vehicle information-all of it can be displayed on that screen. Add to that an EZ Flex Seating system, which moves and slides to accommodate cargo or people (and allows for an optional third row and more passengers), and a Divide and Hide cargo system that creates a separate, hidden compartment in an open cargo area, and you have a vehicle that has thought about drivers, passengers, and their convenience. It answers a lot of the questions that many drivers may have about an SUV brilliantly. The choice between the 2017 Nissan Rogue and the 2017 Subaru Forester is really the choice between two different worlds: a tech-friendly world where safety and design are as important as convenience or the no-frills, safety first, get-back-to-basics approach to life and vehicles. Neither one is better, but the 2017 Nissan Rogue offers the best option if you'd like to have a little bit of everything in your vehicle and have it done well.